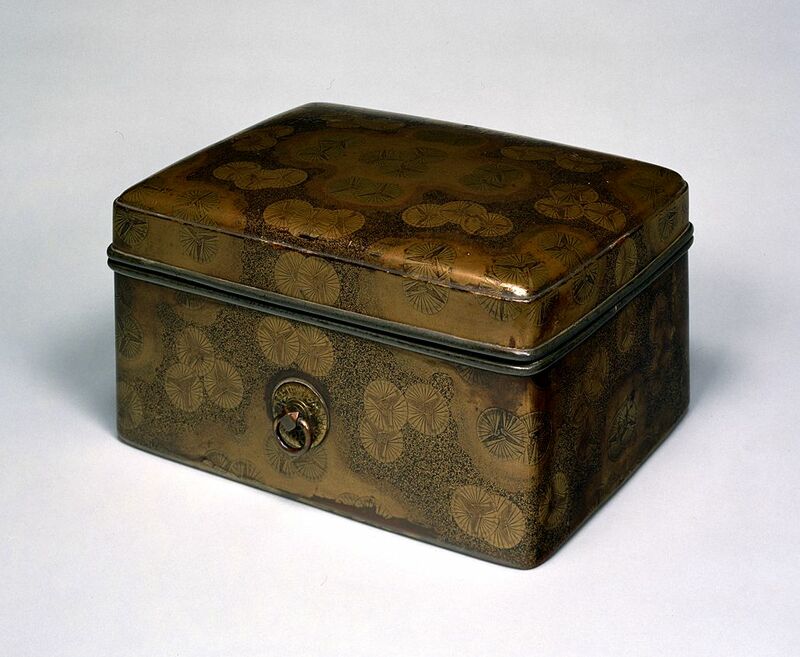 TOKYO NATIONAL MUSEUM - Collections The TNM Collection Object List Tebako (cosmetic box). Design of cypress fans in maki-e lacquer. >> Tebako (cosmetic box). Design of cypress fans in maki-e lacquer. Tebako (cosmetic box). Design of cypress fans in maki-e lacquer. L. 23.6, W. 30.3, H. 17.0.